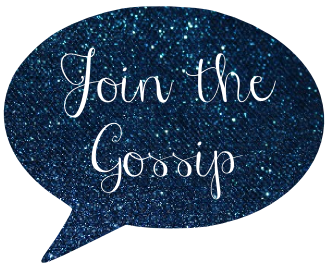 Join The Gossip: The Big Easy! Over the weekend I booked a springtime trip to New Orleans, Louisiana. I am really excited! Spending 6 days and 5 nights in the Big Easy with one of my best friends is sure to be a blast. AND we're going during Jazzfest where greats like Tom Petty and the Heartbreakers, The Eagles, and John Mayer will be playing. And since we're on the subject of New Orleans, I have to throw this in! Drew Brees is the man! Living in SoCal and seeing him leave the Chargers was a sad day. But since he had to go, I had to go with him. I root for the Saints. And I'll be cheering as he returns to Cali this weekend to stomp the 49ers! Too bad I won't be in NOLA during football season. Here's where my What the Hell Wednesday comes into play: travel fees. For the airfare + hotel (5 nights at a place in the French Quarter) it cost $970! That's insane to me. The hotel is the most shocking. Even after splitting the room I'm still paying nearly $500. Let's hope I have a blast on my trip and it's well worth the sky-high price. 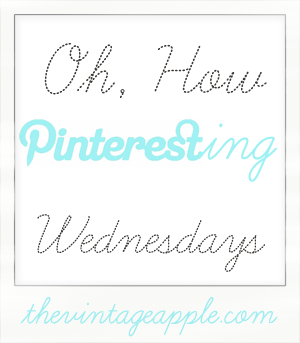 Link up and play along with The Girl With the Blue Bow and The Vintage Apple! P.S. Check out the giveaway Michele's got goin' on over at The Vintage Apple!! You found some great NOLA pics and I'm so jealous you'll see John Mayer in concert!! And I am excited for you to go to the Big Easy but 6 days?????? How are you going to survive???? Clearly I end up leaving there in crutches, so I hope you do not follow in my footsteps. Oh lordy, get your liver ready!!! been to NO twice. the first time as a kid with my parents and the second time with my hubby but it was just a day trip. it is a city like no other. you will definitely find lots to do. my favs were the beniets (yum) and they had an easter parade. I have never been there and I truly need to book a flight!!! Sooooo jealous! Jacob and I have always wanted to go. What a perfect time! You’ll really be able to experience the culture with a big festival like that. I’m totally feeling you about expensive vacations. It looks like my trip to Tennessee is going to be about $1100, not including food or gas. I really want to visit New Orleans! Great pins! You are going to love New Orleans and I'm super excited for you. I went there about 7 years ago the week after Mardi Gras and it was a blast. You have to try to take a swamp boat tour while you're there. If you can, try and have dinner at Commander's Palace. They've been around since the late 1800's and I know you love your history :) The food is also delicious. Thank goodness for Drew Brees. He's the reason Geof won Fantasy Football this year. What a fun trip!! I'm jealous (: That will be amazinggg! But I hate how expensive flights are too!! you are a traveling woman!! i am jealous of this trip, i have always wanted to go to new orleans, eat all the delicious food and just soak up the NOLA vibe! I promise to email you with a full list of recommendations--I just haven't had a second to do it yet. I'm both excited for you and terribly jealous; I'm always plotting a way to get back to New Orleans. I'm sure you're gonna be as smitten with the city as I am! Make sure to take lots of pictures for us readers! I've always wanted to travel there. I LOVE the white house with all of the trees! It makes me think of Gone with the Wind. I'm a little jealous! This is one of the places that I really want to go someday! You're sure to have a blast, and the money will totally be worth it! Oh beignets!!! You have to have those. Although I've never been, I'm sure you are going to have a great time. I know Reni did! Oooh, you're going to have SUCH a blast! I'm crazy-jealous. I'm originally from South Louisiana, and NOLA is one of my favorite places in the world!!! Make sure that you visit the cathedral (duh), Cafe du Monde for beignets, ride the streetcar, etc. Jazzfest is a blast- if you want restaurant recs, just let me know and I'll be more than willing to help. Omg.. We're totally planning on going to Jaz Fest too! Not sure which weekend yet... But if we're there at the same time that'd be so cool!